It’s nearly here: After more than six months of anticipation, Brian Michael Bendis’ full-length Superman writing debut arrives next Wednesday with DC’s Man of Steel #1, illustrated by Ivan Reis and Joe Prado. 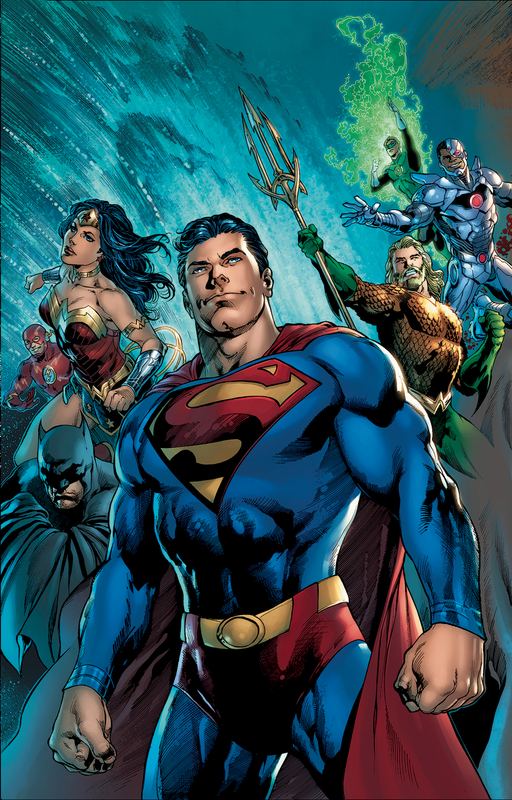 Sure, fans have seen glimpses of Bendis’ take on Superman in the Action Comics #1000 and DC Nation #0 short stories, but the six-issue weekly Man of Steel miniseries — each chapter illustrated by a different high-profile art team — will be the true indicator of what the longtime Marvel vet has planned now that DC is his exclusive creative home. Superman fans have many reasons to be, as Bendis himself puts it, “excited and nervous.” After all, not only is Bendis one of the most popular and acclaimed superhero writers of the modern era, he’s also known for shaking up status quos in major ways, as the man who disassembled the Avengers, outed Daredevil’s secret identity, killed off (a) Peter Parker and brought the original five X-Men from the Silver Age into the present. Yet while it may indeed be healthy to fret, Bendis makes it clear to CBR that he’s a fan of Superman’s relatively recent status as a family man, expressing his “deep love and affection” for the entire Super-family. 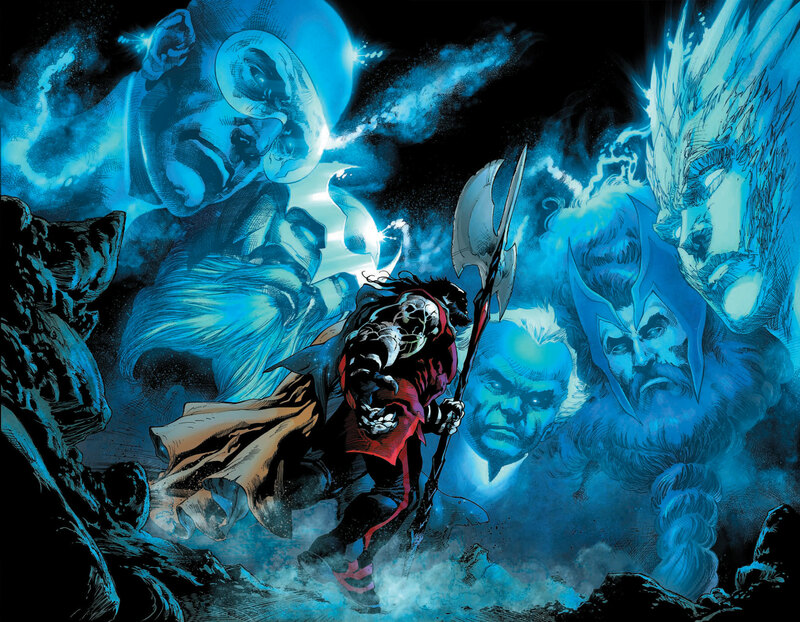 In an in-depth chat with CBR on Man of Steel and his transition to DC after 18 years at Marvel, Bendis (whose final Marvel comic, Invincible Iron Man #600, was released this week) also discussed the distinction between writing Superman as a character and not an icon, working with artists like Reis for the first time, introducing new villains and supporting players and the timely importance of the Daily Planet and its staff. Most importantly, Bendis makes the case for why Superman — despite being the first American comic book superhero — is very relevant today, as the hope he represents is needed more than ever in this “weird and different” current era. CBR: Brian, let’s start with something I’ve been curious about for a while — for you, as someone who has written so many famous superhero characters, but are writing Superman for the first time, what did it take for you to get the voice of the character “right”? More than any superhero, Superman exists as much as an idea and an icon as he does an actual character. How did you find your way to writing Superman authentically? Brian Michael Bendis: Because I’m not writing the icon on any level, whatsoever. I’m writing the character. And that was one of the great moments I had in the DC office when I first came there. I was sitting there talking about the characters, and I was talking about Clark, and Diana, and Bruce, and [DC Group Editor] Brian Cunningham slammed his fist on the table and goes,”You’re doing it right!” I go, “Why?” “You’re talking about them as people, not icons! You’ve never called him anything other than Clark!” Yeah, he’s a dude. The icon’s what’s been thrust upon him. That takes care of itself. He just shows up and he’s an icon. To write the honest person is what you want to do. That’s what I’ve been doing. Personally, for those who have been reading my work for a while, I realized that as I was writing Spider-Man, I was tapping into the nervous energy of Spider-Man, of which I had in my life. That was part of the element of why I connected to the character so much, is that his point of view in the world and his energy in the world, was, in a way, similar to mine. Whereas as I’ve gotten older, and you settle down and get a little more zen and know your place in the world a little bit and you don’t have to be such a gerbil, that energy is Superman. Superman doesn’t pace around. I’ve never experienced that before in my life, so having just gotten to that place in my life, and then now I’m writing a character that does that — it’s a very unique thing, but that’s how I’m writing him. … and now that Superman is currently a parent, did that really help you connect to the character? I’ve been a parent for a third of my life. It’s consumed every single second of my day, and I still, surprisingly, have not written a lot of families. This was kind of handed to me, and I got so excited about it. Not only am I a dad, but. I’m a unique dad. I know every dad’s kind of unique, but like, I don’t have a job. I don’t go to work. I’m home in my Superman pajamas typing all day. I’m a different kind of situation. I’m either at home in the basement or I’m on stage — it’s weird. Writing that, I connect to that. My kid’s know that we have a weird house, and we enjoy it. That’s what the Superman family does. We’re not normal. Not many. I gotta tell you. I’m six months deep into it now. As a co-author, I can tell you, DC the company does everything differently than Marvel does, including pay vouchers, to produce the same, final product. As a craft junkie, I’m obsessed with this. I love it. And there are some things that Marvel did that were a little better, and some things DC does a little better. It’s not a critique or a criticism, it’s just, they do things differently. How they all relate to each other is different. And I’m fascinated by it. From that, all the way to the energy of the shared universe — working on the Marvel shared universe is completely different than working in the shared universe at DC, and you’ll have to ask me a year from now how, because I can’t even wrap my head around what’s different. I was thinking, if I was writing the Star Wars universe or the Westworld universe, it would feel as different to me, I guess. The story and the characters demand a different type of different energy and a different type of mindset from me, and that is fascinating. Well, let’s circle back in a year and get more into it. It’s cool, because I’m actively working on the sequel to Words for Pictures, and I’m right now in the middle of the most existential, trying to figure out the craft of this. The post INTERVIEW: Bendis Wants Superman Fans ‘Excited and Nervous’ for Man of Steel appeared first on CBR. Tokyo Ghoul Creator Ishida Sui Reveals Jack Jeanne Project as Nintendo Switch Game! The musical simulation project is set to hit the Switch in 2020! Who Is The Original Flash Jay Garrick?